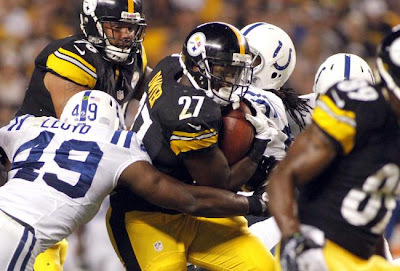 With running back Jonathan Dwyer emerging as a consistent chain-mover in Pittsburgh, he now has something in common with the rest of the team’s tailbacks. Dwyer missed practice Wednesday with a quadricep injury, three days after rushing for more than 100 yards for the second game in a row. Isaac Redman (ankle) was a full participant in practice. Rashard Mendenhall (Achilles) and Baron Batch (shin) practiced on a limited basis. 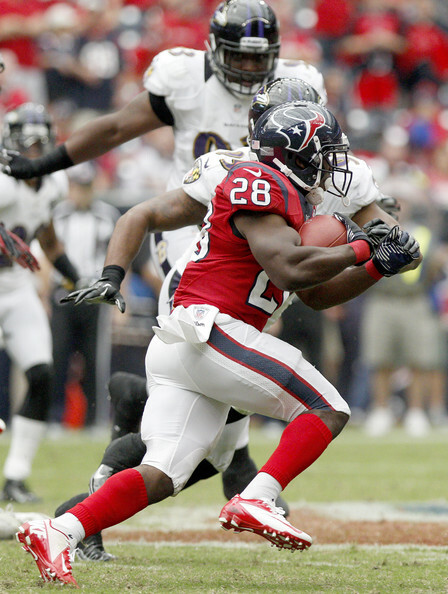 Redman and Mendenhall have missed the past two games. Also missing practice were tackle Marcus Gilbert (ankle), safety Troy Polamalu (calf), linebacker Stevenson Sylvester (hamstring), and linebacker LaMarr Woodley (hamstring). Woodley and Gilbert are both expected to miss Sunday’s game against the Giants. Safety Ryan Clark, who suffered a concussion on Sunday, fully participated in practice. And, yes, the Steelers actually call it a concussion. Not head or neck or concussion-like symptoms. A late night report ouf of Jacksonville that the Jaguars are attempting to acquire Tim Tebow in a trade with the Jets appears to be false. Action News WTEV in Jacksonville is reporting that the Jaguars are making a play to trade for Tebow before the trade deadline on Thursday. The report is attributed to unnamed sources, and the TV station says it was unable to reach either Jaguars General Manager Gene Smith or Jaguars owner Shad Khan for comment. Multiple other reporters, however, including Manish Mehta of the New York Daily News and Albert Breer of NFL Network, have already thrown cold water on the report, and said there are no talks between the Jets and Jaguars. And the idea that the Jaguars would acquire Tebow now, in the middle of the season, seems extremely unlikely. The Jaguars looked into the possibility of trading for Tebow when the Broncos made him available in March, but when the Jets acquired him, the Jaguars moved on. 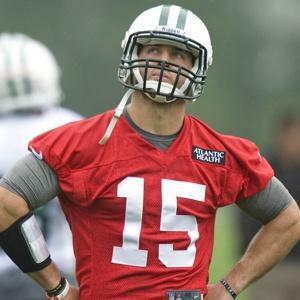 So expect Tebow to remain after the trade deadline right where he is now, as Mark Sanchez’s backup with the Jets. 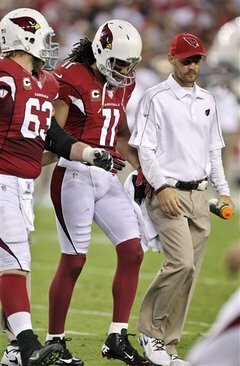 Cardinals receiver Larry Fitzgerald took a hit and went face-first into the turf in Arizona on Monday night, and although he got up looking woozy, he didn’t miss a play. After diving for a third-down pass and taking a shot on his way to the ground, Fitzgerald took some time to compose himself, picked some grass out of his facemask and then walked off the field. On the sideline he was shown being attended to by the team’s medical staff, and ESPN reported during the broadcast that he was evaluated for a concussion, that he was sniffing ammonia and that his balance was being checked. But it was a quick evaluation: Fitzgerald was back on the field for the Cardinals’ next offensive possession and didn’t miss a single offensive play. The Broncos are out to a 17-7 halftime lead over the Saints, but they aren’t out of the woods yet. They have to worry about quarterback Peyton Manning’s right thumb, which he whacked on a helmet just before the two-minute warning. Manning appeared to have some blood on the thumb, but finished the half. He’s 11-of-16 for 178 yards and a touchdown, and has looked sharper than Drew Brees in the battle of big-name quarterbacks. 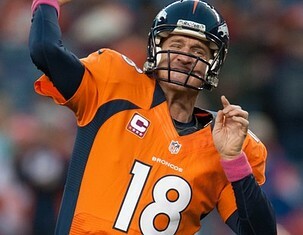 But how he responds when the Broncos take the ball to start the second half will be huge. It was an ugly, ugly day for the Jets offense on Sunday, but it wasn’t ugly enough to convince Rex Ryan to make a change at quarterback. Ryan said from the podium of his postgame press conference that Sanchez will remain the team’s starting quarterback because he gives the team the best chance to win. Sanchez didn’t do much to give the Jets a chance to win in the 30-9 loss to the Dolphins, completing 28-of-54 passes for 283 yards to go with a touchdown, interception and lost fumble. That touchdown came in the fourth quarter when the Jets were already down 27-3 and his earlier play was studded with the kind of inaccuracy and inability to make plays under pressure that have popped up in half his starts this season. All of that comes with Tim Tebow standing on the sideline and doing very little offensively other than standing on the sideline. Ryan isn’t switching to Tebow during the coming bye week and he said after the game that he never thought about benching his quarterback. “I just never thought it was the time to do it. 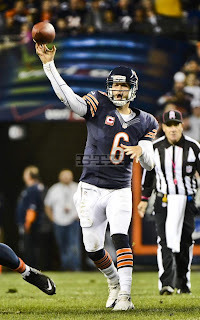 Mark’s our quarterback,” Ryan said. 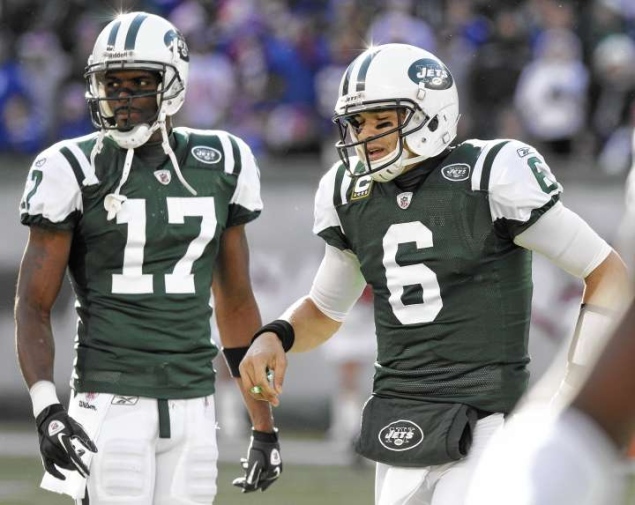 Ryan’s sticking with Sanchez after another poor game. His job security could wind up being seriously impacted by that loyalty. New England tight end Aaron Hernandez will miss Sunday's game against the St. Louis Rams in London while he recovers from a sprained ankle. Hernandez played the last two weeks but has not been at full strength since hurting his right ankle in the second game of the season. The Patriots on Friday listed him as out for the game at Wembley Stadium, giving him extra time to recover with a bye week coming up. Hernandez had been expected to play a large role in the offense this year after having 79 receptions last season for 910 yards and seven touchdowns. The Patriots arrived in London on Friday ahead of the sixth annual regular-season game to be played there. Last week, Saints tight end Jimmy Graham didn’t accompany his team to Tampa, making his presence on the field an impossibility. Graham’s ankle hasn’t healed the way he thought it would, nearly three weeks after injuring it on Sunday Night Football, in the Saints’ first win of the season, against the Chargers. As a result, his status remains, we’re told, “iffy” for Sunday night. 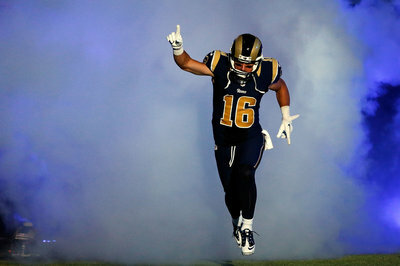 Rams quarterback Sam Bradford said earlier this week it would he hard to slow wideout Danny Amendola down. And the “outside chance,” just got a little better. The Rams listed the wide receiver as questionable on their injury report, making him a 50-50 call for Sunday’s game against the Patriots. He’s three weeks out from an injury that was pegged at four to eight weeks in terms of recovery time, and they have a bye after this trip, which would give him plenty of time to get ready for the next game. The Rams could also be without their first two options at left tackle, as Rodger Saffold is out and Wayne Hunter is questionable. 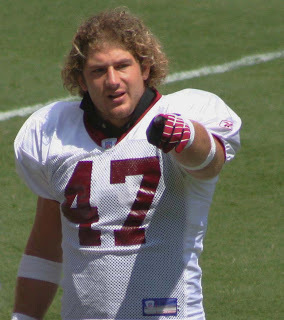 There’s a reason Chris Cooley was so popular in Washington, and why his comeback triggered a media tour. 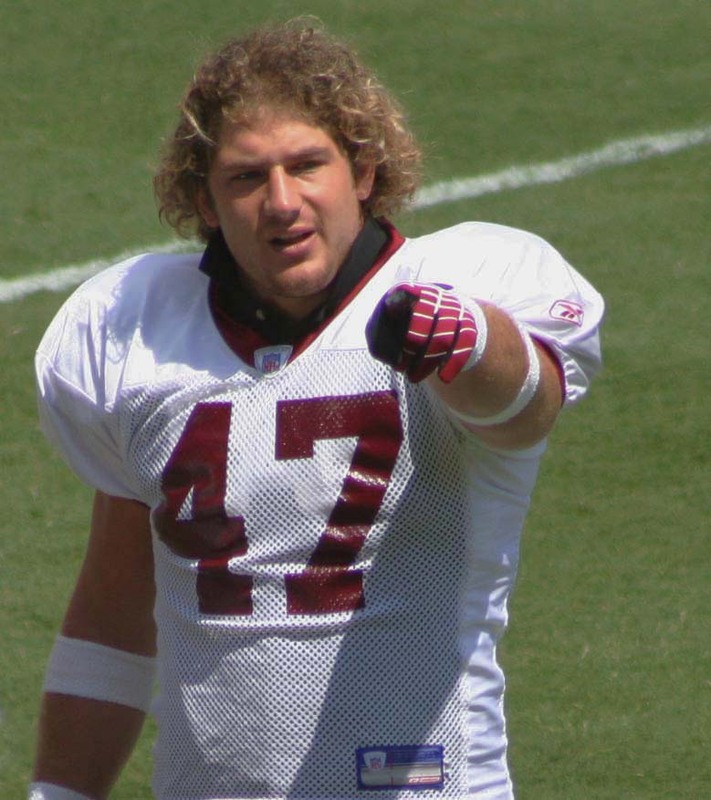 Upon his return, Cooley said, among other things, that he tried to get the Redskins to add a special incentive into his contract when he signed to replace the injured Fred Davis. Whether a “Likely to be consumed” clause would have impacted the Redskins’ salary cap is unclear. We’re trying to get to the bottom of that now. Cooley also got a laugh out of initial reports that said he’d sign, pending a physical. Of course, if he had gotten what he wanted in the negotiation, it might have been another story. Weekly 2012 Cumulative Football ERA Formula results are published below with the usual cautionary disclaimer that these are NOT Power Rankings. To analyze these results, we primarily have to look at how teams change within the Rankings rather than looking at the Rankings as raw stand-alone data. Position is neither the best nor the sole criteria of analyzing the list as much as is observing change in the list (first derivative). In other words, how teams rise and fall from week to week during the long season is more of a primary criteria for evaluating performance.